Suzanne Timmer is a new member and she showed us a quilt made from a pattern by Laura Heine. Susan Carlson was the instructor at a needle arts class. 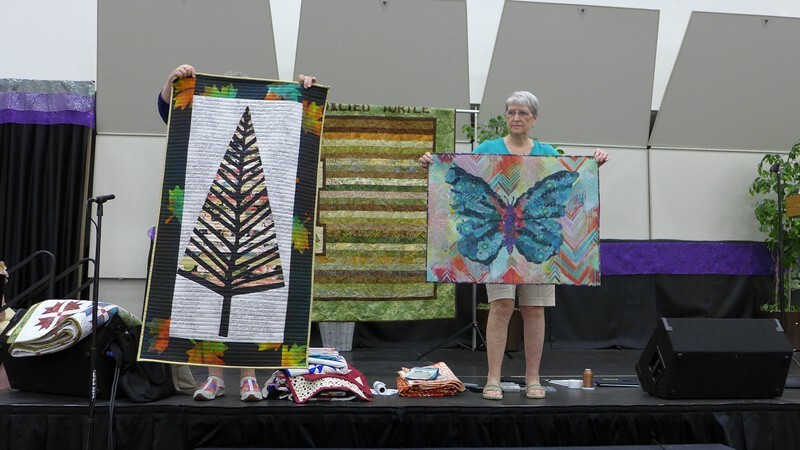 Suzanne named the quilt “Metamorphasis”.